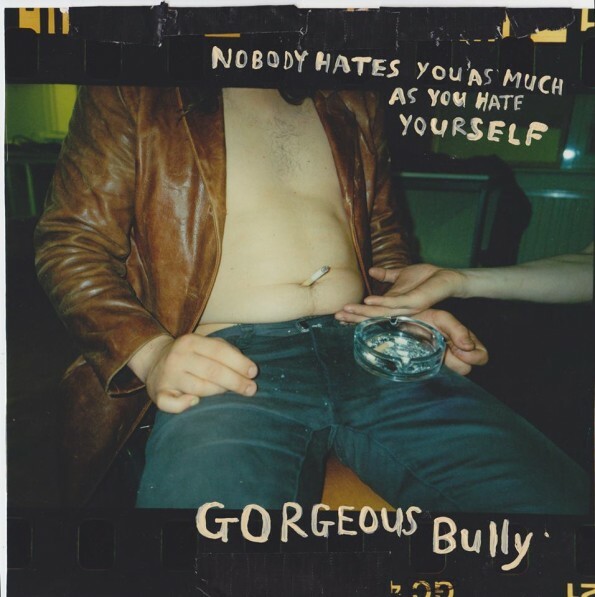 In his latest cheerfully titled EP, Nobody Hates You As Much As You Hate Yourself, musician Thomas Crang aka Gorgeous Bully pulls in some new band members for a five-track “celebration of misery, loneliness and self-loathing.” It’s not as depressing as it sounds. The songs are short and snappy. Especially opener “Sinking Feeling,” a song as grungy as can be, but not without the hooks and pop vocals that make it catchy – and all in not much more that two minutes. “Could Keep It To Myself” does break the three-minute mark, but otherwise sticks to the same formula. Heavy, grungy sound and exultant breathy vocals explaining why, actually, it’s okay to be a failure sometimes. Something Gorgeous Bully’s music – particularly the vocals – gets lost in the heavy buzz-like background guitar, but the songs still hold their ground.